Are you a novice needle worker or a crafty quilter? Either way, we've got you covered. 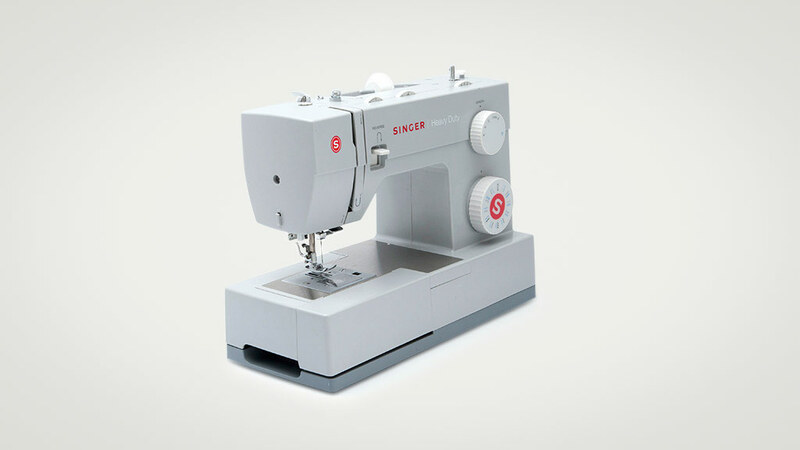 If you're thinking about trying sewing, or you've had a few years away from the craft and want to get started again, you may be surprised to find that you can pay anywhere from under $100 for a basic sewing machine, to more than $12,000 (only for the experienced sewer). 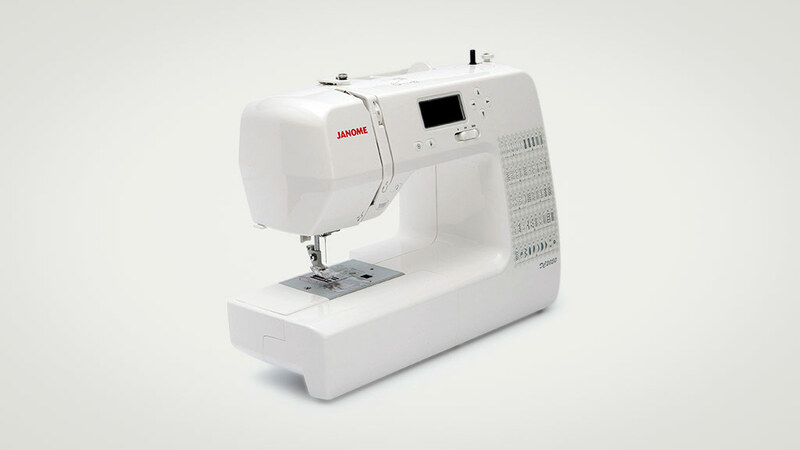 You'll find all sewing machines do the same basic things but they're not the same. It's important to choose the right machine for the types of projects you're going to be working on. We no longer test sewing machines but we maintain these reviews from 2013 for archival purposes. Although most models are now discontinued, you may still be able to find them second hand. Warranty (yrs):	2 years; 2 years on electrical parts; 5 years on mechanical parts. Very good at straight stitch, and appliqué. Very good multi-lingual instructions, with illustrations. Accessories are easily accessed through hinged compartment in free arm table. Has a stable foot control with an anti-slip base. Stitch selector is hard to turn. Winding and installing bobbin is only OK – considerable force is needed to release flywheel to wind bobbin; front-loading bobbin not as easy as drop-in type. Only well lit to the left of the needle. Warranty (yrs):	1 year; 2 years' labour; 5 years' parts if you fill out an online registration form. Good at back-tacking and appliqué. Good control and functions labelling. Drop-in clear-view bobbin – winding is very good. Only OK at blind hemming – blind hem foot isn't supplied but available as an optional extra, which should improve results. Loudest and heaviest machine on test. Foot control is light and doesn't have an anti-slip base. Excellent control and function labelling – LCD display. Very good, decorative stitching, and appliqué. Has an anti-slip foot control, and can be used without the foot control. Only OK at blind hemming – difficult without blind hem foot (available as an optional extra), which should improve results. No instructions for changing the light bulb. Only OK at blind hemming and stretch stitching. It needs lots of presser foot and/or thread tension adjustments to get a reasonable stitch result. The bobbin does not wind evenly and the flywheel is recessed and slippery, making it difficult to turn. Stitch selection is very small and not clear to see – the selected stitch is illuminated through the translucent front panel. Changing the needle is awkward with the small screwdriver supplied. The foot control is light and doesn't have an anti-slip base. Excellent control/function labelling – LCD display. Very good at back-tacking, blind hem, buttonholes, and appliqué. Drop-in clear-view bobbin –winding is excellent. Accessories are easily accessed through hinged compartment in free arm. Can be used without foot control. Motor speed can be adjusted with or without foot control. No pressure control, but foot can be raised to the highest level for thicker fabric, although the foot is not fully secured in this position. A service call is required to change the light bulb. Very good at back-tacking, decorative stitching and appliqué. Borderline at blind hemming – tension can't be adjusted to achieve a good result. Has a well-lit work area. Is very good at backtacking. It's only OK at button holes, zigzag and decorative stitching. It's difficult to get thick fabric under its buttonhole foot. Some decorative stitches do not form well. It's difficult to raise the presser foot to the highest position. Excellent control and function labelling. Is very good for appliqué. Is only OK for blind hemming and zigzag. Is borderline for buttonhole stitching. The machine vibrates excessively on high speeds. It has no thread cutter. Only the left side of the needle is well lit. Decide what type of sewer you are. Are you going to make clothes for yourself or your family, soft furnishings for your home, or creative crafts? Get the top machine for your budget but don't overspend on features you'll never use. Have a play with several machines before you buy. Don't just rely on the store owner to demonstrate things they know well and make it look easy. Check out the after-sales service. Does it include lessons and servicing? Do your research at local craft shows, or events like the Stitches and Craft Show and the Craft and Quilt Fair that are held in most capital cities through the year. 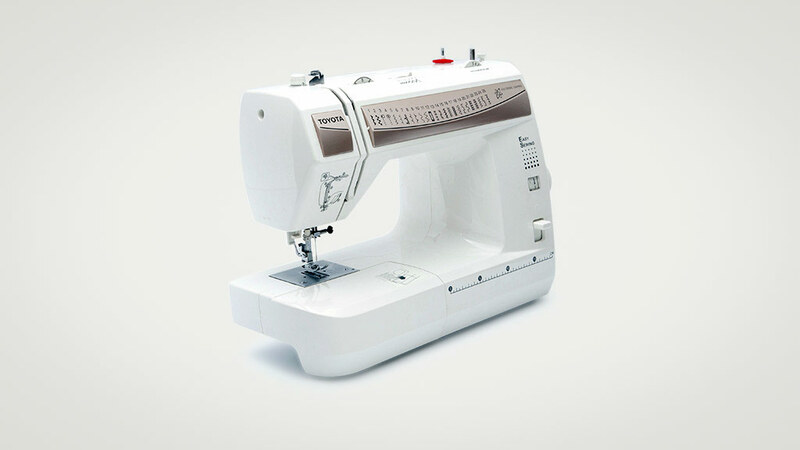 Most manufacturers have stands manned by experienced sewing machine dealers. Every brand has models from a very basic machine suitable for a beginner right through to the extremely complicated, expensive, computerised machines. Getting one with all the bells and whistles might sound great but you will be paying for functions you may never use. Consider buying a machine one level up from what you think you need, to allow you to expand your skills. Suitable for repairs, simple dressmaking and home decorating. If you're just a beginner, you'll find that a cheaper machine will do the essentials. Have the basic stitches like straight and zig-zag plus a few decorative stitches and at least one buttonhole setting. Come with a basic set of accessories. At this level they may not have an automatic needle threader. Make sure a clear set of instructions is included with any machine before you buy it. If you're a beginner, check if the manufacturer offers classes near you. Many retailers offer classes with your purchase. They're relatively inexpensive, and with fewer computerised components there's less that can go wrong with the machine. A mid-range machine has a larger number of stitches and capabilities, and would suit someone wanting to do more than the basics. 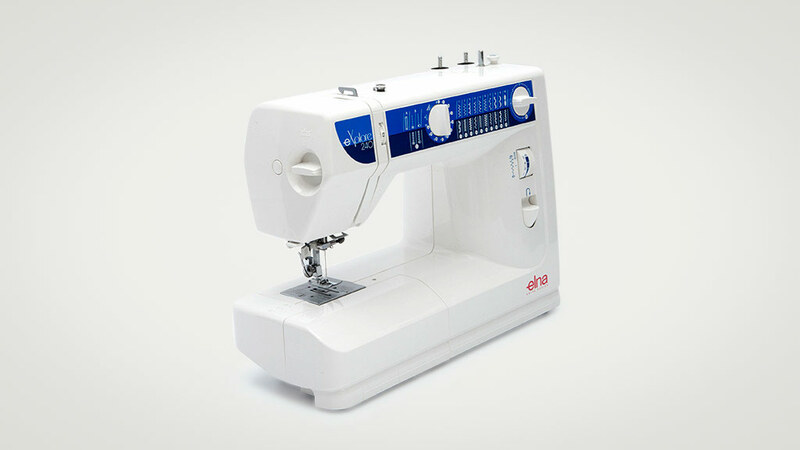 Apart from the standard stitches, a machine in this category will also have a number of embroidery patterns and come with a larger number of attachments than basic models. They're not as specialised as embroidery or quilting machines but will handle these projects. 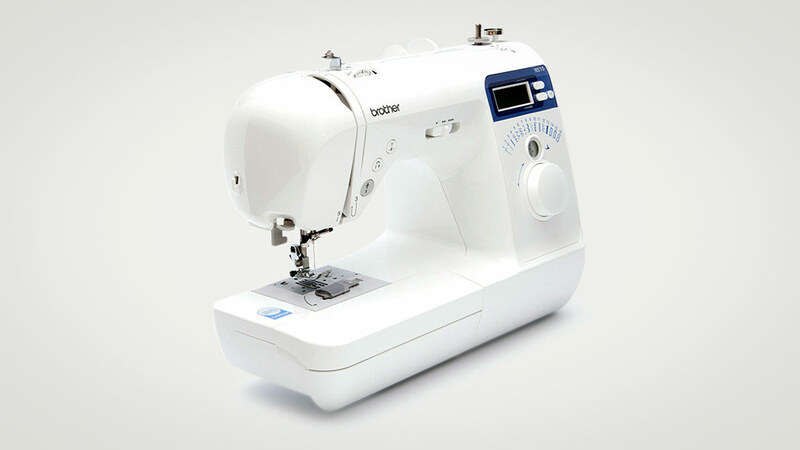 They also offer a range of different buttonholes and an automatic needle threader. 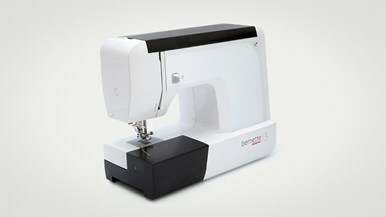 While these machines are definitely more expensive, they're suitable for a wider range of crafts than more basic models. A machine at this price is for the serious sewer. Even if you think you'll end up here, it's better to start with a mid-range machine and work your way up as they can be very complicated for the novice sewer. As you'd expect, they'll have a long list of extra features and capabilities. 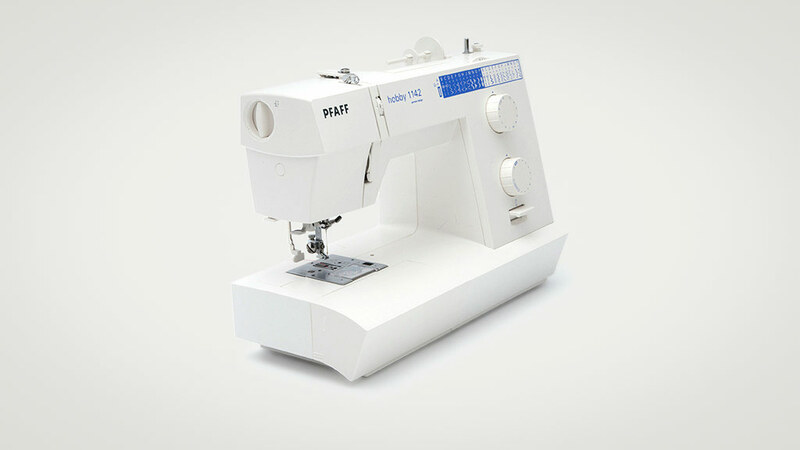 They offer a large number of stitches and you'll have a choice of fully automatic button holes. They'll have a range of embroidery features. These machines may include a colour touchscreen and you may be able to download designs from the internet and edit them on screen. These machines are part of the "high-end" segment of the market, but are suited to the sewer who focuses on a particular craft. They're not a machine for a beginner. A specialist quilting machine has a superior feed system that handles layers of fabric and has more space to feed fabric through. It will also come with a larger table to handle the amount of fabric in a quilt. A specialist embroidery machine has a central processing unit that controls major functions such as the needle bar, providing more needle positions and a wealth of stitch options. Built-in memory banks allow you to customise stitches or save stitch combinations for later use. 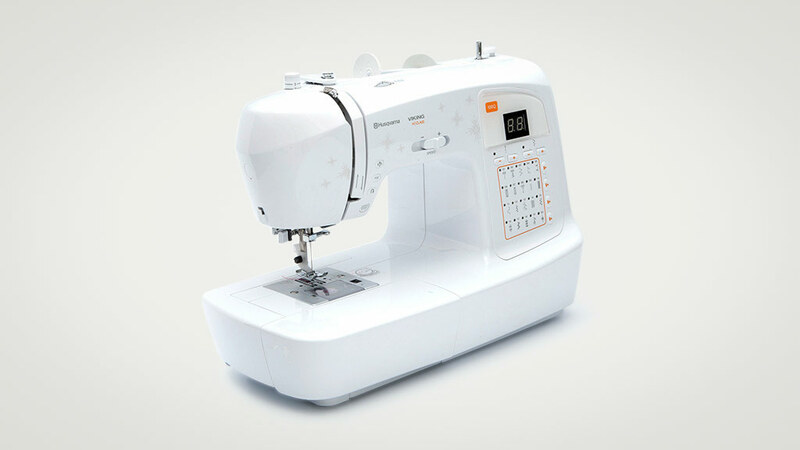 Overlockers are a segment of the sewing market on their own but if you have an overlocker you also have a straight sewing machine. They're mainly used to neaten edges but also have a locking stitch for stretch fabrics. Top-loading or drop-in bobbins usually have a transparent cover, so you can see how much thread is left without opening the machine. They're also generally easier to remove and replace. Front-loading bobbins are accessible through the front of the machine and can be a bit trickier, especially if you have work surface attached (see flatbed). Though often referred to as an automatic needle threader, these are usually not as automatic as that name would suggest. They can be useful for those of us with less-than-perfect eyesight. All models work on the same principle but some can be trickier than others to operate. If you have dexterity problems you should try them out. Look for a stable foot pedal of a decent size with an anti-slip base. Different fabrics and thread types require varying tension to get the best results, and varying the stitch length depending on your project is important. Any good machine should have these but some of the really cheap models may not. A larger feed cavity or an optional wide-table attachment makes feeding through larger pieces of fabric much simpler and smoother. A well-illuminated work area is a must. Check how much and where the work surface is illuminated. Also, check how many people it takes to change the light bulb – boom tish! In all seriousness, for some models the manufacturer suggests taking the machine to a service centre to change the light bulb. The noise level of most machines ranges from 66-80dB. For comparison, 70dB is a loud conversation and 80dB is heavy traffic. Make sure it's easy to grip. Some models have the fly wheel recessed which makes it very hard to grip. Any teacher will tell you most sewing should be done on a flat surface. Most machines use the accessory box which slides on and off the free arm to make a flat surface (referred to as a flatbed). If you want to access the accessories in the box you have to take it off, which can be tricky if you're in the middle of a seam or you have accessories floating around your work surface. Check if you can purchase a table that clips onto the machine and gives you a larger flat working space. The position of this lever is very important, if you are right-handed, for most machines you have to reach through the machine which can be a problem if you're working on a project with lots of fabric going through the centre of the machine. Have a practice making a button hole as there's nothing worse than spending hours on a garment only to finish with a row of ugly button holes down the front. Don't be fooled by the word 'automatic'; like the automatic needle threading it's sometimes not that straightforward. This is where knowing what you're using your machine for comes in handy. To get started you only need a straight stitch and a zig zag stitch. Most machines will come with slightly more as standard but the more stitches you have the higher the price and you may pay for something you never use. Find out if you can return your machine to the shop where you bought it for repairs. If not, where will it have to go? It's also a good idea to regularly service your machine. Take advantage of lessons offered either by the manufacturer or retailer. Even for the most basic machine you'll pick up tips that could advance your skills. Lessons are a must for the more expensive complicated machines. Before you purchase your machine have a play with it, most retailers should be able to demonstrate the features and let you have a go as well to check if you're getting the right machine for your skill level. Set up your machine in a well-lit space, to compensate for the limited lighting on most machines. Use the same ergonomics you would setting up your desk - you know what happens when you sit in front of a computer for too long. It's easy to get engrossed in your projects and you could end up very stiff and sore when you finally emerge.